It’s no secret that color can have a huge impact on mood, a fact that interior designers harness when designing a space. Color is also deeply personal, and we all have our own favorites that we like to surround ourselves with, as well as some least favorites that we usually avoid. Complicating matters further, every color looks different depending on what colors it happens to be next to at the moment, a phenomenon known as the Bezold Effect. Most rooms need neutrals, mid-tone hues, and pops of vibrant color to really bring them to life. So how can you balance the darks and lights, saturated and desaturated colors to arrive at a mix that is colorful without being exhausting, or understated without being boring? The 60-30-10 rule is the answer! There are three basic types of color used in this approach, and the amount of each should be roughly 60%, 30%, or 10%. 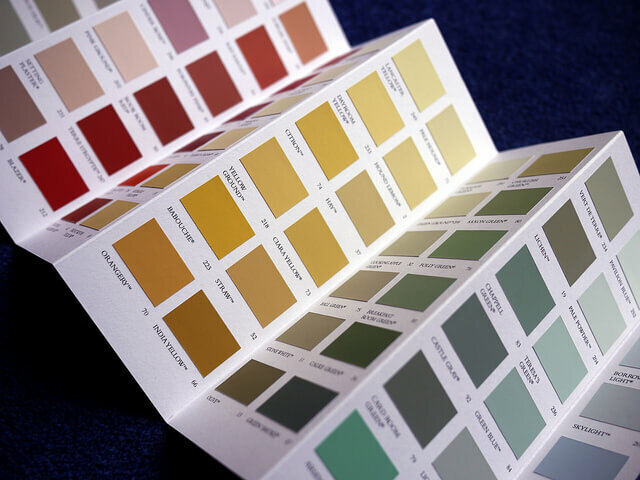 Dominant color– This color should account for about 60% of the area in the room, which in most spaces would make this the wall color. Muted, neutral tones work best for the dominant color- gray, taupe, beige, cream, greige- but in certain contexts even colors like navy or lavendar can function like a neutral for purposes of color design. Secondary color– 30% of the color scheme should be the secondary color. Tones (color + gray) are usually a good choice for this because they add some color but are more subtle and understated than pure hues or tints (color + white- think pastels). Accent color– The last 10% of the color scheme should be a bold, vibrant color. Accents are like the cherry on top of a sundae- a little goes a long way but it makes all the difference in bringing the finished product to life. Of course, each space is different, and rules were made to be broken! This design strategy is a good starting point for most spaces, but adjusting the ratio to include more of one type of color than the other could be the right choice, depending on the project. What is your strategy when developing a color palette for an interior design project? We’d love to see your tips, so be sure to comment below!